I highly recommend this Personal Injury Law Firm. They kept me in the loop with everything going on and gave honest advice. I am very satisfied! The Law Offices of Richard J. Serpe, PC has one goal: to seek justice and earn the very best outcome for clients in the most trying days of their lives. After an accident, it’s easy to feel as though the whole world is against you. Your injuries, the insurance company, the at-fault party, and the legal system are a lot for anyone to face. When going it alone isn’t an option, we’re here to help. Our team of personal injury lawyers and other legal professionals have been helping accident victims for decades. Allow us to stand up for you in your hour of need. Inconvenience should never prevent a person from getting the justice they deserve. That’s why we offer meetings both in our office or wherever is most convenient for you. Should injuries or other factors prevent you from leaving your home, we can come to you. Our clients become like family – and as family, we take your concerns to heart. When you need an advocate, we’re just one phone call away. Call the Law Offices of Richard J. Serpe, PC today at (877) 544-5323 for a free initial consultation. Our Virginia personal injury lawyers understand the emotional, the physical, and financial stress of being seriously injured. While you may be facing lost wages you missed out on while taking time off to heal, physical pain, a pile of medical bills and the anxiety of dealing with the insurance company, we aim to lift that burden from your shoulders so you can get back to simply living. 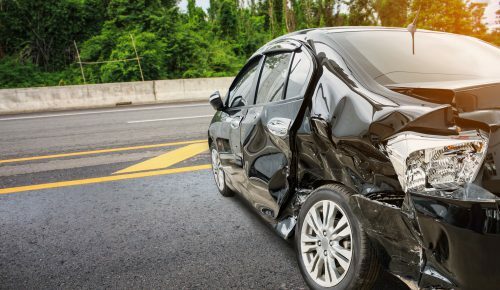 If you’ve been injured, or your loved one has been killed, we will protect your legal rights and fight for the maximum compensation you deserve. 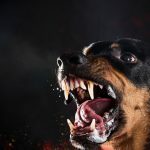 Dog Bites & Attacks: for children, adults, mail carriers, delivery truck drivers, pedestrians, joggers, etc. Birth Injury: Inadequate training, defective drugs, and ineffective policies can all lead to medical mistakes. When you put your trust in the law offices of Richard J. Serpe, you can rest easy knowing we’ll act with your best interests in mind. With open ears and hearts, our team is eager to help you in your hour of need. Contact the Law Offices of Richard Serpe, PC for a free consultation. We offer a No Fee Promise, which means that you don’t owe us any legal fees unless we settle or win your case. We will work on your behalf to get a fair settlement, and only charge legal fees if you receive a settlement or verdict. We understand that the fees associated with a lawsuit can be a barrier to justice, and we believe that everyone should have a voice when it comes to asserting their rights. Corporations and insurance companies have tremendous resources, and our No Fee Promise levels the playing field. When your case is accepted, we’ll explain all the details regarding payments that are contingent on settlements and verdicts. All you need to know is that we will work as hard as we can to ensure that you are compensated for your injury.